Rozmýšľali ste už niekedy nad tým, ako by sa vám hodil iný typ nechtov? Lebo ja stále a teraz aj, keď som si len pred nedávnom menila z "ovalného" ( Almond ) tvaru na "štvorcový" ( Square ), chcem vyskúšať Ballerina tvar. 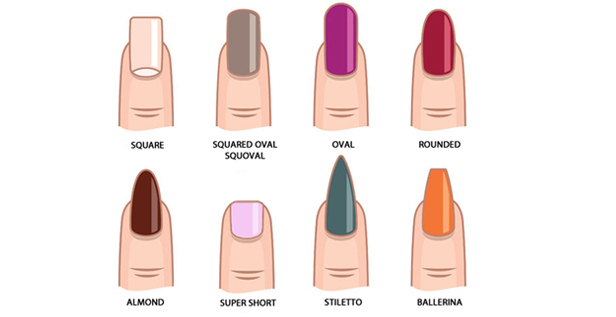 Did you ever wonder about which shape of nails would fit you the best? Because I think about that all the time, mainly when I was reshaping my nails from almond to square and now I want to try Ballerina ones. povahu a podobné veci. Samozrejme niektorí ľudia striedajú tvar nechtov ako ponožky. As I was looking through articles like What does your shape of nails says about you? I came to a conclusion, that people really don't know what to do. In my opinion, everybody likes different shapes of nails and it doesne't depend on their personality or things related to that. Of course some people change their shape of nails like socks. Prvý tvar som mala Almond a ten mi vyhovoval. Nechty sa mi nelámali a je to aj taký bežný tvar nechtov, taká klasika. Tvar môžem len odporučiť ale myslím si, že by ste chceli po čase zmenu a tvar Almond by vás omrzel, teda aspoň mňa omrzel. The first shape I had was almond and it suit me. The nails didn't break and it was such a regular shape of nails. I can recommend the shape, but I think you will get over them after some time and will want a change. At least that goes for me. Potom ma chytil tvar Squard a ten mám doteraz, teda dozajtra. Tento tvar nechtov už mám asi mesiac a tri mám zlomené a dva nalomené, takže už asi viete prečo si ich chcem čím skôr zmeniť. Tento tvar nechtov sa mi páči a ani by som ho nemenila ale chcem vyskúšať Ballerina tvar a ten sa mi teraz páči najviac. Hlavne dúfam, že sa mi prestanú lámať nechty ! Then I tried the Square shape and I have it to this day, I mean till tomorrow. I have this shape of nails one month and have three broken and two chipped nails, so now you see why I want the change as soon as possible. 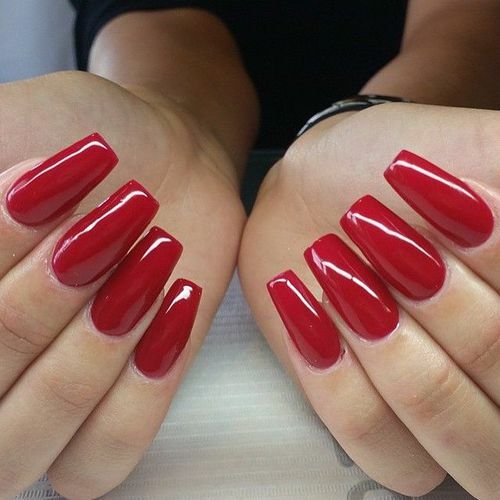 I came to really like this shape of nails and wouldn't change them, but I really want to try something new again a right now I'm interested in Ballerina shape. Mainly I hope, that my nails would stop breaking. Možno nakoniec aj, tak skončím pri Almond tvare ale aspoň budem mať skúsenosti s inými typmi nechtov. Dúfam, že som vám týmto článkom pomohla pri výbere typu nechtov a že ste sa aj niečo dozvedeli. Poprípade mi do komentára napíšte, že aké máte vy skúsenosti a ktoré typy nechtov by ste mi odporučili :). In the end maybe I'll end up with Almond shape nails but at least I will have experiences with other shapes of nails. I hope that I helped you with this article in chosing the right shape for your nails and that you learnt something new. I'm glad for every comment and your shared experiences.